Deda patented RHM geometry, aero top cross section. Light alloy 6061, double butted cold drawn. Works as described. The bend is nice and smooth and the drop is relatively shallow. Nice bars at a great price. 440mm width feels narrower than my other 440mm bars for some reason, but drop good. 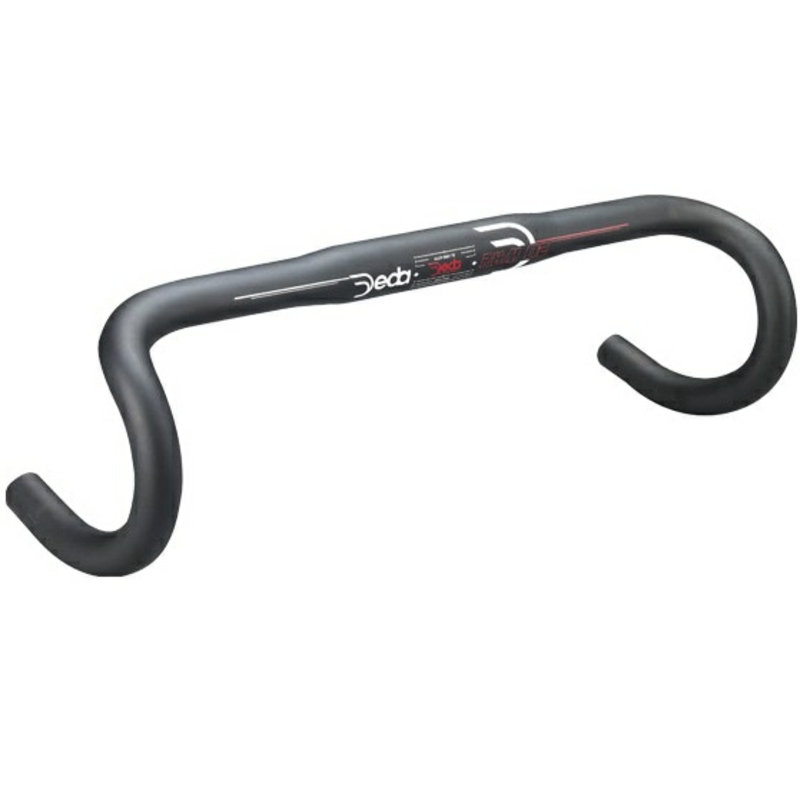 fantastic handlebar at a great price, love the feel of the tops, chunkier hand area than my previous Bontrager bar, very pleased. Handlebars are very personal but these for me are the best shape I have tried for shimano 105 shifters. If you want to try it's cheap enough to not have much regret if the shape turns out wrong for you. I really like the shape, drop and reach of these bars. You do pay a bit of a weight penalty 320g (44cm) but you're rewarded with ample stiffness in the drops. Also I like the flattened top section when climbing and cable channel. I Already had the black version, but wanted a stealthier look for my new bike. These are so inexpensive was easier to just order a second pair in BOB finish rather than waste my time and money trying to remove or blackout the white logos on the old bars. Came quickly as usual too, Thanks Merlin! I have used these bars before and find them comfortable. I needed a matt black one to go with my frame and these look great. It was an excellent price too. Very nice finish on the white bars; reasonably light for the price; knobby surface in the lever mounting area is nice - keeps things from slipping around.